Here's the wood furniture to hold your cookbook open as you work in the kitchen or to host your bible at the next church meeting. 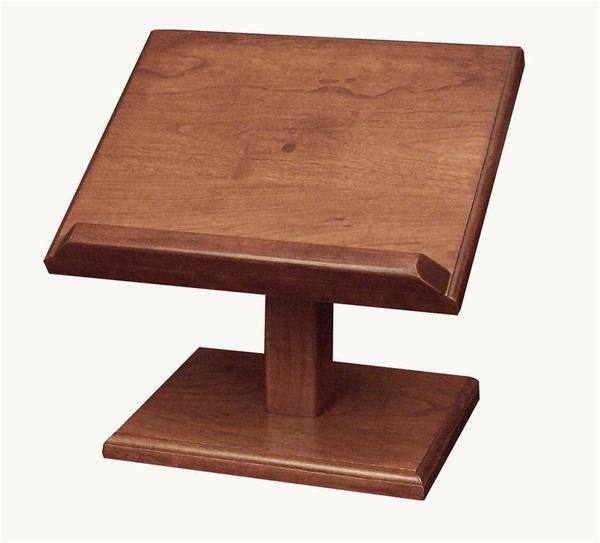 The Amish Hardwood Large Cookbook Stand or Bible Stand is thick and rich and sturdy. It measures 11.5" x 9.5" x 11.5" and comes in your choice of cherry or oak wood. This cookbook stand makes a unique and special gift. 11.5" x 9.5" x 11.5"